We work with a fabulous family-run company that creates and installs beautiful new hardwood windows of all types and styles. FENSA regulated, double-glazed and sound-proofed these windows are beautifully made and undoubtedly add value to your property. Looking to brighten up your windows? Why not consider a lovely window box filled with plants especially selected to suit the character of your home. We like to think that the windows of a house are the eyes to your home. Fresh and colourful window boxes can really lift your spirits. 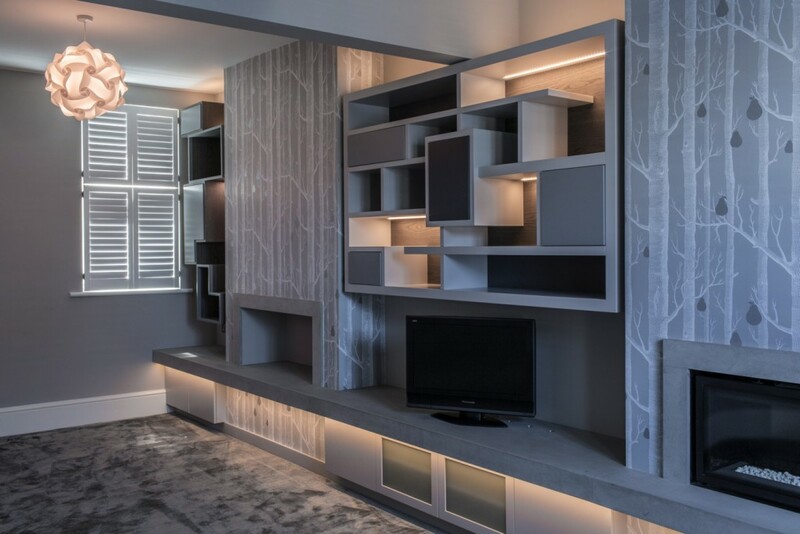 Our design service can create inspired shelving and ergonomic storage solutions to suit any space and style. Front doors, door furniture, letter boxes, door knockers, numbers and traditional stained glass or contemporary glass – we can find what you’re looking for. First impressions count! A beautiful well-kept front door speaks volumes. Dress to impress! We believe that a front door painted to a perfect finish, with a chic eye catching colour and striking coordinating furniture will undoubtedly make an impact on all your visitors. We are Santa’s little helpers and we love Christmas! So let us select that perfect tree for you. We will deliver it to your home and dress it with fabulous decorations in any style you wish. From traditional green to chic, luxury crystal or cool contemporary – we can design and create a stunning Christmas tree to be a beautiful focal point in your home and the envy of all who see it! Ho ho ho. Looking for personalised wall decoration? We can source and create the most exquisite wall designs just for you, from wallpapers to beautifully hand-painted original murals. We can use organic paints if this is of concern to you. If you have recently had a baby or are worried about your pets or the impact on the environment, then please ask us about the organic and naturally sourced paints that are now available, we are happy to help.